During a Visit Board Search and Seizure (VBSS) training exercise on 9 December 1999, a CH46 carrying a platoon from 1st Force Reconnaissance Company struck the side of the USS Pecos off the coast of Camp Pendleton, CA. The helicopter rolled into the water and sank immediately. The investigation that followed revealed that one of the major contributors to the fatalities were the heavy weight of the assault equipment worn by the boarding party and the difficulty in rapid egress from the helicopter. FSBE provides ballistic protection, brief underwater breathing capability, flotation, and limited load carriage to meet the specific mission profiles of the USMC Force Reconnaissance community, Fleet Anti-Terrorism Security Teams (FAST), and MEU (SOC) Helicopter Assault Companies. Each kit has four different configurations in order to satisfy the different mission of users. Configuration A kits are fielded to Force Reconnaissance Companies, Reconnaissance Battalions, Special Operations Training Groups, and Radio Battalions. 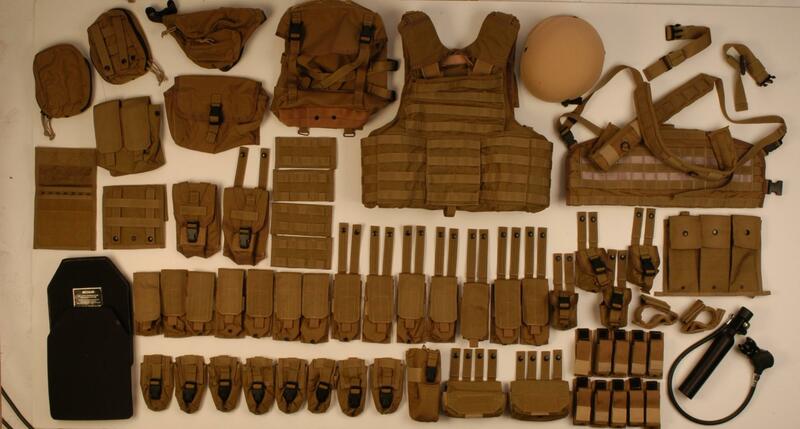 Configuration B kits are fielded to Marine Security Force Battalion FAST Companies. Configuration C kits are fielded to MEUs. Configuration D kits will be fielded to EOD Teams.